Swisspers Cleansing Facial Wipes with Coconut Oil are cleansing wipes that gently remove even the most long-wearing makeup while also nourishing the skin. Skin will feel soft, and the delicious coconut aroma will calm and replenish. Perfect for all skin types, especially dry skin. I purchased these because they were on sale and I had used the cucumber ones previously. At first use I wasnt so sure about the coconut smell and feel of the wipes but after a few uses I have really taken a liking to them. They are gentle on the skin, feels soft, removes make up with ease and they are reusable - I find I will use the same wipes twice as I don't wear a lot of makeup. I got the twin pack of these wipes and I must say they do a good job at removing makeup. They do not remove eye makeup as well as my normal micellar cleanser so I tend to have to use this on my eyes afterwards. Other than this I enjoyed using the wipes. They are handy to have on standby and do the job in removing my makeup. They are quite a decent sized wipe and they are good to pop into your bag for after a gym session as well. The wipes do not dry my skin out or cause any irritation. Overall these a very nice wipes to use after gym or on lazy days. I thought I would try these from the rewards room and I'm glad I did. They are very gentle on my sensitive skin and I don't have to rub as hard to get my makeup off as I have with other brands. They smell like coconut but not really strongly. They are nice and soft and I only had to use one to remove my make-up. Packaging says they can be use after going to the gym which is a bonus - they don't leave your dehydrated so you would'nt have to rush home to apply moisturiser to your skin after a workout. I am not much of a face wipe kind of gal - i just find them to be too dry and i have to rub too hard to get them to remove my makeup - but I had high hopes for these ones due to the coconut oil in them. Well, i was wrong. While i found these to be slightly more moist than other brands of facial wipes, I still had to rub and rub to get rid of my makeup. I didn’t find them any more nourishing than other wipes either - even with the coconut oil in them. Quite disappointed - but maybe i’m just so used to using a micellar water now that nothing will compare! I received a pack of these as part of the Priceline Beauty Bag. Normally, I am not a fan of coconut scented products so I was a little worried at how I would go with this. I was pleasantly surprised with this product. The scent is pleasant and not too strong, it smells more like coconut water then a traditional coconut scented product. The wipes are a good size and removed all my makeup including my mascara. The thing I loved best is how great my skin felt! It was soft, and felt clean and moisturised. I like the plastic tab to retain the moisture in my wipes and do highly recommend this product to anyone who doesn't wash their face at night (too tired or cant be bothered) as these wipes do the trick quite effectively. I'm always on the hunt for new facial wipes and especially those that have a plastic losing lid as I find they stay moist for longer. I also love the scent of coconut so was super excited to try these and have to say they didn't disappoint! The scent was lovely and not too potent. The wipes themselves are a great size and texture , nice and moist and I found I could use them twice before throwing out which is great. Loved it and will keep using. I picked these up in the latest beautorium as I go through makeup wipes so quickly. I find them to be so convenient and when I'm feeling lazy I just grab one of these because it's so much easier at removing makeup than anything else. I was interested to try these ones in particular as they had coconut oil in them. Now my skin isn't dry, in fact it's more on the oily side but I've used coconut based products on my skin before and have never had a problem with them. I liked that these wipes had a closable lid to keep the wipes from drying out. The wipes themselves were actually quite dry which was upsetting. I was expecting them to be moist because after all makeup wipes work best when it has a good amount of the product on it. However the wipes didn't feel even slightly damp so I added a couple of drops of water on them and then began to use them. I loved that the makeup wipes themselves were thick and very durable. When it came to removing my makeup it did a really good job. Even though it felt as though there wasn't much coconut oil on the product, my foundation along with everything else just came off really easily. Even removing my mascara and eyeliner wasn't too bad. It didn't cause any irritation to my eyes and it removed everything. My skin did feel hydrated without feeling oily or greasy. I would follow it up with a foaming cleanser for a two step clean. It's a great product but my only suggestion would be to make it moist and put more coconut oil in it! I received a 25 pack of Swisspers facial wipes in a Priceline beauty bag recently and have been using them for a few days now. It's great that they are especially good for dry skin which is my skin type. The wipes are very soft but strong and don't have much of a scent really - just the barest hint of coconut which is more like a foodie sort of smell that you would get from a real coconut rather than that pina colada smell of some coconut scented beauty products. These are really gentle too. They don't hurt my eyes or my skin and are effective at removing makeup. They aren't quite as moist as some facial wipes but there is just enough wetness to get the job done. All in all I would say that these are the best facial wipes I've ever used. They leave my skin feeling clean and hydrated - a real paradise cleanse ! Was given this product in a beauty bag from a few recent purchases at Priceline. I love seeing the real coconuts on the design of this products packaging. Most of all, these cleansing wipes are a real gem to revive a tired, yucky face. Love using one of these the moment I've arrived at home after spending time in the office, before working on the computer at home. Also fantastic to use as a cleanse prior to applying a facial mask. Have on your hand when you need a quick cleanse. Those who want a quick cleanse, before applying a facial mask. Those who want a little pick me up if your face feels a little meh. These are great. Great great great! I like the gentle coconut scent, I like that they are moist without being soggy. I like that they are effective. Gentle and soft as they leave my skin feeling clean and lovely. They are quite nourishing and moisturizing also. 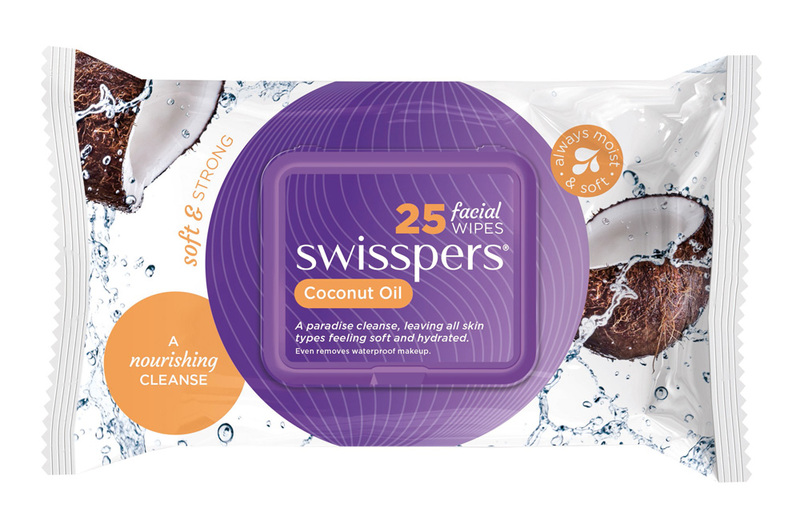 I have used swisspers make up wipes before and was always ok with them, but with the addition of the coconut oil the game had really stepped up. These are so good. I have some pretty serious stay power lippy and it came right of first swipe. These measure approximately 15cm X 20cm and smell just very delicately of coconut - but it's only super light which is nice that it's not an overpowering scented thing for cleansing the face with. It's not a sweet coconut scent, but instead it's a very natural unsweetened coconut scent. I like the naturalness about this scent - it smells like real coconut water/oil. They leave the skin feeling a little bit hydrated so my preference is to use this as a pre-cleanse and then rinse off the hydrating residue left on the skin with water. I have oily skin so I prefer to wash this residue off but if you have dry skin you may love that hydrated extra feel that these towellettes give. These are moist as they come out of the pack and the pack has a purple plastic closing lid plus a seal inside too so it helps to retain the moisture on the towellettes, stopping them from drying out. The towellettes are soft on the skin and take make-up off with ease! Keep inner seal well-sealed when not in use.  Removing make-up as a pre-cleanse.